Usually the postures we need the most are the ones we avoid. And for me, backbends were definitely it! I've never been really flexible and found that backbends were always such a struggle. When I first started yoga, I was surprised at how stiff my back and shoulders were. What looked like a fairly easy posture to do, was so inaccessible to me. I started to avoid backbends, and shifted my focus more towards the upper body strength work. Little did I realise that by doing this I was missing out on one of the most exhilarating, fun and beneficial yoga postures! Even though I still have a long way to go with my backbends, they have now become one of my favourite postures. Backbends are such an important part of a yoga practice. If you've been on the journey of slowly opening up your spine, you wouldn't be surprised to hear that they have been shown to reduce stress and anxiety, improve your posture, as well as give you a massive boost of energy! When done properly, they expand your lung capacity, increase your spinal flexibility and mobility, and also stretch your abdominal muscles. Below are a few of my tips on how to create a more open and safe backbend. Watch the alignment of your feet! How the feet are aligned will directly affect the lower back. If they are in a position where the outer edge of the foot is leading, it can have an effect on your knees and jam your lower back. Always plant your feet in tadasana position (mountain pose), with the ball of the foot spread wide, pressing firmly into the big toe rather than the little toe. You shouldn't really be bending your back. You should be elongating it! Bending the back can compress the vertebrae into the discs and this can cause all sorts of pain. 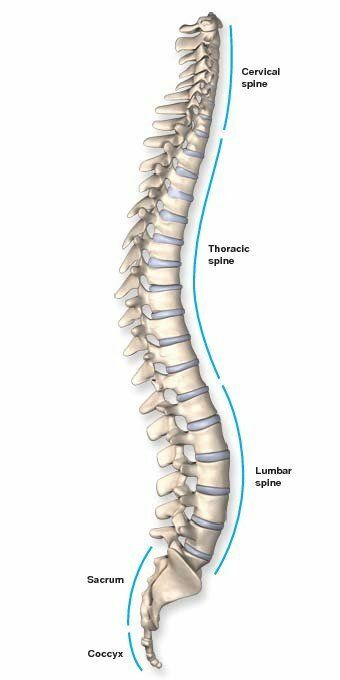 Of the three sections of the spine, the lumbar and cervial spine are the most mobile, where the thoracic spine is least mobile. The majority of backbends should actually be taking place in the upper back (thoracic spine), as opposed to the lower back. The lower back already has a natural curvature, so we don't want to emphasis this area too much, as it can compress the vertebrae and weaken the spine. 50% of the work of a backbend should be in the legs. Putting more weight in the legs can take the pressure out of the lower back. Backbends require open quads (the muscles in front of the thighs), as well as open hip flexors. Sun Salutations, and Warrior I and II, are a great way to begin to strengthen the legs. Don't let your knees fall our in wheel or bridge pose, and instead, internally rotate your thigh bones. Think of the inner thighs rolling inwards and down towards the floor. This will help to broaden the lower back. Use the breathe and come up on the inhalation. When we inhale, the rib cage rises, which helps to move the vertebrae further away from each other. Coming up on the inhalation will help you achieve a deeper and safer backbend.